Spring is attempting to show it’s face around parts of Saskatchewan, and we are happy to see the sun still up past 7 pm! With summer on my mind, I’ve been thinking more and more about where I might fit in this big ole’ world. Since the return of Colton Crawford into The Dead South, I’ve found myself in one location for longer than 2 weeks, which gives a gal some time to think about life! I’m not entirely sure what the what what now is, but I do know that the people, culture and wilderness of Stanley Mission sure have stolen my heart! The kindness, generosity and natural music ability of the youth and community, as well as their strong desire to cultivate a music program, have me researching ways to facilitate mobile music teaching programs in Saskatchewan and beyond. I love the dreams I’ve been having, and am excited to see what the future brings!! To delve into a world I know nothing about, I am toying around with the idea of turning Doylefest (which is a little music festival I’ve started on my land outside of Saskatoon) into a non-profit or charity to support this initiate. Grants, charities and non-profits for MUSIC IN ALL COMMUNITIES is what has been on mind!! It is exciting to think about things beyond the Main Stage. I’m still excited to be performing, and have a few festivals on the go for this summer, but it sure feels good to look beyond myself and see the what I can do for the world. Oki doki folks, hope the world is spinning in the right direction for ya’ll. Thanks, and see you soon!! Winter of 2018 is quickly settling in up here in Canada. With only a few days at -20 C so far, I consider myself pretty lucky! Since welcoming Colton “Crawdaddy” Crawford back into The Dead South, I have been staying busy gather firewood, converting a used sea can storage container into a studio, and upgrading my off-grid water and solar systems. I have been working along side The Saskatchewan Arts Board in discussions surrounding Musician in Residency programs for Northern Saskatchewan communities. In January 2019 I will be heading to Stanley Mission, SK for 4 weeks to live and construct a music program designed specifically for the needs of this community. It will be my first time delving into a project like this, and I am both excited and nervous! While living there, I hope to learn how to bead, jig and become a beginner fiddler! Within this residency, we are in need of instruments! I’m looking for guitars, banjos, mandolins, basses, drums, harmonicas, percussive instruments, strings, tuners, capos, microphones, amps, stands…etc. If you have any of these items kicking around gathering dust, please let me know! They will be put to amazingly good use, and I will keep you personally updated on the whereabouts of your gear, and the difference it is making in the lives of the northern folks of Saskatchewan! 2018 is off to an amazing start! Along with The Dead South, I jump onboard a plane and head to New Orleans for a week long music festival cruise ship party called Rock The Boat! Fabulously we are able to jump off and see some Mayan Ruins as it cruises down through Mexico before returning back to New Orleans. Upon docking in New Orleans, I catch a plane straight to the Yukon for a 3-week solo tour. Luckily I have my wonderful father waiting to meet me there with my car filled with winter gear, cross country skis, CD's and t-shirts, clog shoes, as well as with my guitar, dobro and mandolin. I am so excited for this Home Routes tour, being with my father, and being in the houses of all the wonderful people in the northern half of our country. Thanks Tim Osmond for setting this up. One week off brings me to the beginning of March, where I hop into The Dead South van as we cruise through the states for the month! We love touring the states, and the tour is already almost completely sold out! Next stop, jump on a plane and head to the United Kingdom for a tour from April 16th-29th. Fun times in my world, and I'm looking forward to what the May will bring! Creative Saskatchewan Rocks!!! I gratefully acknowledge the funding Creative Saskatchewan has provided to me for my 2017 Western Canadian Tour. Their support and belief in me has given me the added boost I need to continue to bring my band on the road, and to bring you folks my music!! They are an amazing organization Saskatchewan is blessed to have!! This tour was made possible through Culture on the Go funding provided to Creative Saskatchewan by Ministry of Parks, Culture and Sport. Well, isn't this exciting!! I have the honour of joining 12 other amazing banjo playing gals on the 2017 Edition of the Banjo Babes Calendar! For ordering information check out the link below. And fret not, I am in September, so if you are late in ordering, you still have months before my month expires. A BONUS of the calendar is that it comes with a 12 SONG COMPILATION CD that features a song from each of the featured artists. I gratefully acknowledge the funding Creative Saskatchewan has provided to me for both the album "It Ain't What It Seems", and for the 2016 Western Canadian Tour. Thei support and belief in me has given me the added boost I needed to make this launch successful, and they are an amazing organization Saskatchewan is blessed to have!! This CD Release tour was made possible through Culture on the Go funding provided to Creative Saskatchewan by Ministry of Parks, Culture and Sport. 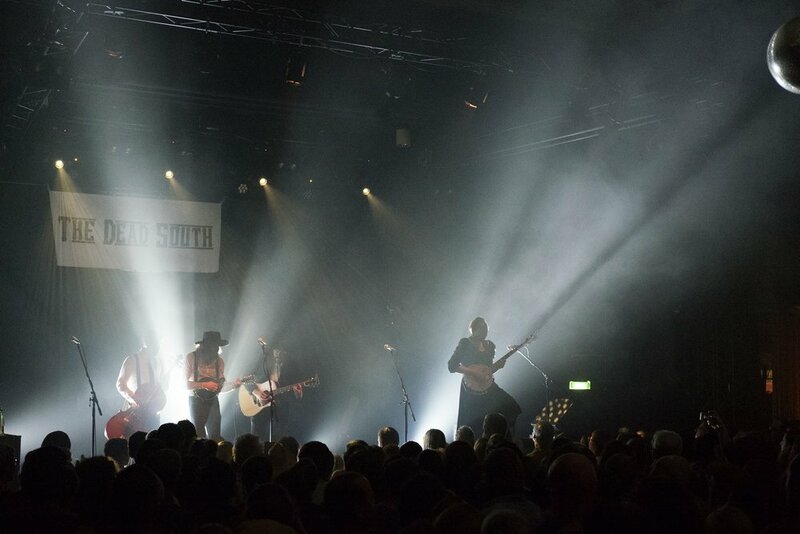 Tour With The Dead South!! Due to extenuating circumstances, I have the opportunity to hit the road with The Dead South for their CD RELEASE TOUR- ILLUSION AND DOUBT across Western Canada! I am very excited to be on the road with these rambunctious fellas, and have been working hard on perfecting my kick-drum-banjo-playing skills. This tour sees us all throughout Saskatchewan, Alberta and British Columbia!! Check out my tour dates for more details! Canadian Tour Dates this Fall! 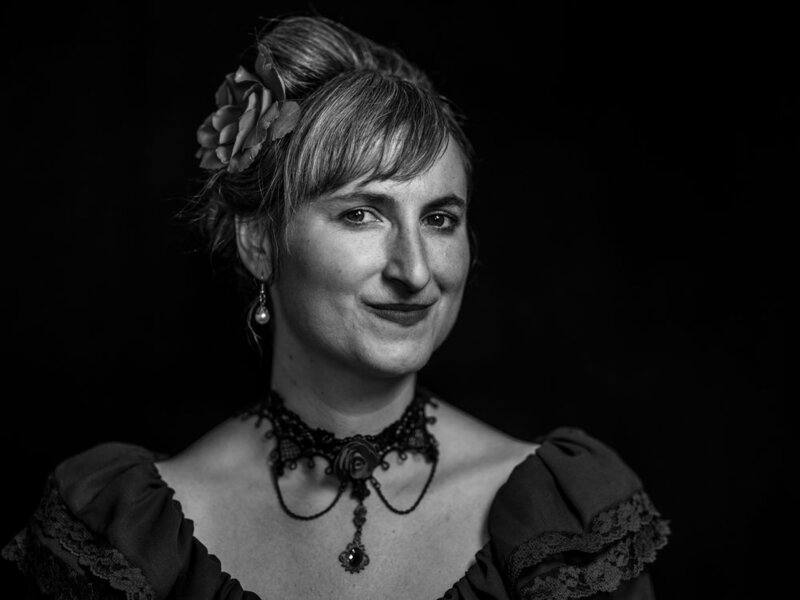 Eliza Doyle’s new album, It Ain’t What It Seems, takes a more serious and intimate approach than some of her past work as a high-energy banjo player. The songs on It Ain’t What It Seems have been written over a period of years, but didn’t really fit into Doyle’s stage show at the time. Now she’s taking the time to let these songs shine. Elize Doyle plays banjo, guitar, dobro, and sings on the album, which has given her lease to explore the musical expression of some of the lyrical ideas on the album. Themes like personal struggle, the unknowns of travelling, and lost love. It Ain’t What It Seems looks through the eyes of someone taking on the world by themselves, celebrating the freedom and empowerment that comes with that bold task. When Eliza Doyle’s car broke down in Nashville in 2015, she found herself happily stuck in Music City. The venerable Saskatchewan banjo player and singer/songwriter had stopped in to see a festival and ended up enjoying an extended stay, playing in bars and meeting all manner of talented musicians. Having been on sabbatical to follow her muse anyway, it seemed like fate urging her to keep on the well-worn path to musical fulfillment. Doyle has had a fifteen-year career in groups, as a solo artist, and as a professional session musician, playing banjo, singing, and even performing with instruments like dobro or mandolin. She has released nine full-length albums, won numerous awards, and toured North America and Europe. Doyle has been a regional finalist in CBC’s Searchlight Canada competition and past winner of Bell Media’s contest, The Next Big Thing. Whether creating a driving rhythm to hold a track together or shucking and plucking some leads to jump to the front of a song, Doyle has the versatility to go from beautiful and melodious songs to a full blast bootstompin’ hoe down. Her strong, but wonderfully frayed voice belts out captivating tunes and harmonies. Everything about Eliza Doyle’s music rings of an authenticity that takes you straight to the beating heart of folk and bluegrass music. December 10th - The Root Emporium, Llyodminister, AB. December 13th - The Ironwood, Calgary, AB. December 16th - The Bassment, Saskatoon, SK. December 17th - The Church Series, Brock, SK. 2014 - Showcase for “Folk Alliance International”, Kansas City, MO. 2013- Featured on CBC 1 “The Grid”, Regina, Sk. 2013- Showcase for OSAC, Regina, SK. 2012 - Winner of “The Next Big Thing”, Regina, Sk.